Kitchen Remodeling, Asheville, NC | Off Duty Fireman Construction Inc.
'); // });Kitchen Remodeling, Asheville, NC | Off Duty Fireman Construction Inc.
We’ve been working on kitchen remodeling projects in the Asheville area since 2000, so we know exactly what goes into a successful remodel. Your kitchen is the heart of your home. Here, you cook and eat meals with your family, entertain, coordinate activities, create memories, and so much more, which is why having a cramped or inefficient kitchen can put a damper on how satisfied you are living in your home. If you’re ready to revitalize your kitchen space and add value to your home, it’s time to let us at Off Duty Fireman Construction Inc. take on your kitchen remodeling project. Whether you simply want to add new flooring and counters or you plan to completely change the layout of your kitchen, we’re the ones for the job. 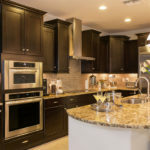 We’ve been working on kitchen remodeling projects in the Asheville, North Carolina area since 2000, so we know exactly what goes into a successful project. Our team is polite, punctual, friendly, and above all, dedicated to quality workmanship. We promise you won’t be disappointed when you let us remodel your kitchen! We continue to be a local name to trust because not only do we get great results for our clients, but we also maintain a simple approach: get the job done with professional quality, elegant handiwork, and maximum durability. Just let us know what you envision in your newly remodeled kitchen, and we’ll go above and beyond to make it happen. Get ready to have the kitchen you’ve always wanted! To find out more about our kitchen remodeling services and what they include, get in touch with us at Off Duty Fireman Construction Inc. today. At Off Duty Fireman Construction Inc., we offer kitchen remodeling services in Asheville, Waynesville, Hendersonville, Black Mountain, Arden, Maggie Valley, Charlotte, Lenoir, Hendersonville, and Winston-Salem, North Carolina.